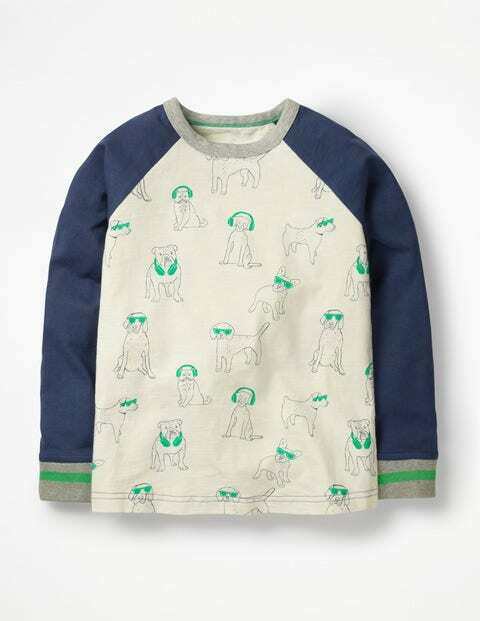 Dogs make the best DJs, so we got them to headline this sporty raglan T-shirt. There's also a football-and-headphone design to choose from – and either top is machine washable for when Mini musicians headline muddy festivals on the lawn. The striped cuffs keep arms toasty when strumming guitars on stage (i.e. the garden wall).